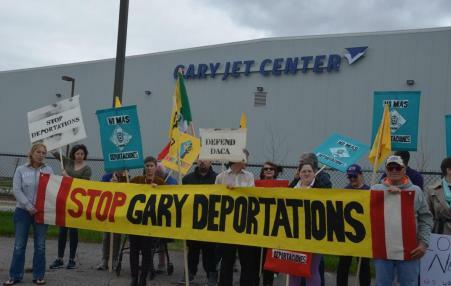 Deportations to the Mexican border from Wisconsin, Illinois, Indiana and Kentucky leave every Friday morning from the Gary Airport in NW Indiana. From 2013 to April 2017, 19,501 immigrants arrived in shackles at the Airport from an Illinois prison. 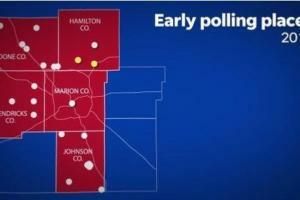 From 2008 to 2016, GOP officials expanded early voting stations in Republican dominated Hamilton County, IndyStar's analysis found, and decreased them in the state's biggest Democratic hotbed, Marion County. The results were immediate. A map of Indiana can show you what went wrong for the Democratic Party and what’s going wrong for the country. 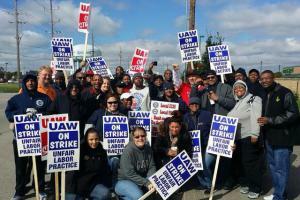 Unions must maintain unity among the workforce split by the Carrier deal, and educate its members on why they should not have voted for Trump. Election data seems to indicate that it was union white workers more than poor white workers who supported Trump to begin with. The divide between highly skilled and paid workers and minimum wage workers harkens back to the 1920s when unions focused primarily on craft workers rather than the expanding industrial workforce. 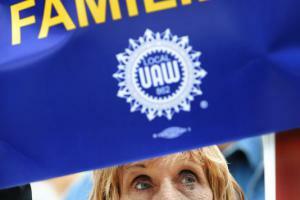 Did Indiana Autoworkers Strike a Blow Against Two-Tier Contracts? Roughly 20 to 25 percent of all union contracts have recently contained some kind of two-tier payment. 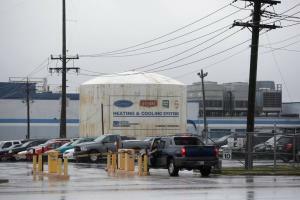 Such arrangements, often made in response to threats of plant closures or job losses, can turn into strategies for long-term suppression of wages. They can also generate conflict and resentment among workers making vastly different amount of money and undermine solidarity.